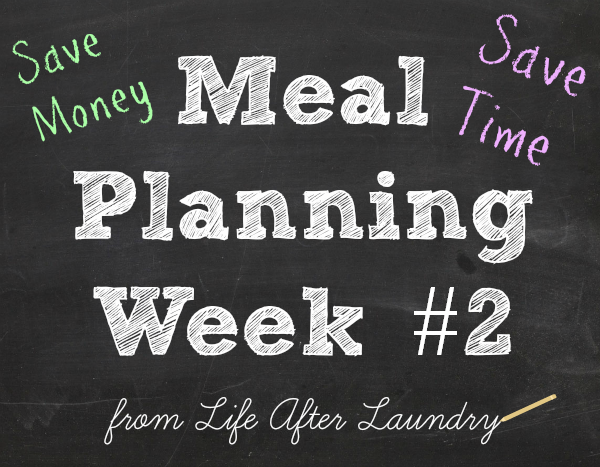 So, we are in week #2 of my meal plans, and I hope you are enjoying it. I love sharing these recipes with you because they are all recipes we have tried and enjoyed. I’m not just randomly posting links to recipes, this is our actual meal plan! *Lemon Pepper Salmon is something we have done for so long in our family, that there isn’t really a recipe. This recipe listed above is the closest thing I found to the way we prepare it. Basically it is Salmon covered in Lemon Pepper Seasoning with dabs of butter. The only difference in the recipe above is that I do mine in a foil packet on a baking sheet in the over. It definitely helps make the fish a little more tender. Please let me know if you have any questions. The meal plan printable of the week is from Sweet Bella Roos. I hope you can use this meal plan for your family or at least found some inspiration in your planning process. YAY! Glad it helped you. I think it’s great how you post the recipes that you are actually making for your family., and not just posting some random meals that are too fancy or unrealistic! These look really good. Rachel @ I Love My Disorganized Life recently posted…2nd Birthday Celebration for White Lights on Wednesday! Thanks for sharing!! I really do need to meal plan, and this will give me some ideas. Yum- my husband would love the Lemon Pepper Salmon! Thanks for sharing my menu printable! You are very welcome, Emily. Thanks for stopping by. I need to try the lemon pepper salmon! I have been digging fish lately and that sounds delicious! I’m not a big seafood person and I LOVE it! I hope you get a chance to try it, Jessica.